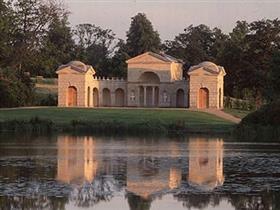 Stowe Landscape Garden was created in the 18th Century and regarded as one of Europe's most influential. There's delightful planting and structures at Stowe and it's a beautiful place to enjoy some peace and quiet! There are more than 40 monuments, temples and secret places, beautiful ornamental lakes, wooded valley and walks around the gardens and parklands. In 1989, Stowe became part of the National Trust. Its gardens were overgrown, the lakes silted up and monuments crumbling. It has been a lengthy restoration (not yet complete) but the beauty of Stowe has re-emerged.